I’m seeing anger and cynicism over Manafort’s sentence. This is to remind you that cynicism destroys democracy. Putin’s active measures are designed to get people to lose faith in democratic systems. 1/ Putin knows when enough people lose faith in their government, autocrats can take over, because people stop caring. If all systems are corrupt, who cares? A system run by human begins can never be perfect. My clients were not only indigent—many suffered from mental illness. Some were homeless. First, some background on RICO. Prosecutors were finding it hard to bring down mobs partly because bosses had ways to insulate themselves. They could only try mob-related crimes individually. 1/ RICO (Racketeering Influenced and Corrupt Organizations Law) was passed in 1970. RICO lets prosecutors take down the entire organization, and makes it easier to reach the boss. The activity can be almost any crime—bribery, fraud, etc. (Thread) Putin and the U.S.
First: I see why Putin methods work on America’s far right wing. Second: I see why Putin’s methods are unlikely to succeed in the U.S.
1/ By “succeed” I mean that the Trump-Fox-GOP—which openly uses Putin’s propaganda methods—are unlikely to turn the US into another Russia. 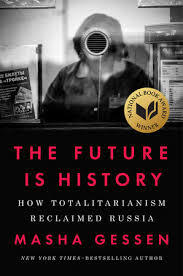 2/ Gessen describes how & why Russia slipped back into totalitarianism after a brief flirtation with democracy. In light of Cohen’s testimony in Congress last week, I updated my general crimes page. I also put a red star next to the crimes in which Trump himself is implicated. 1/ That’s the page where I keep track of possible crimes committed by Trump, his family, and associates based on the guilty pleas, top tier newspaper reporting, and public statements by possible defendants. With this disclaimer 👇 in mind, I’ll tweet the list. Here are this weeks threads, if you missed any. #3. Before Cohen’s hearing, I posted a thread on Twitter outlining possible crimes in which Cohen implicated Trump in his written statement. Here is an updated account after the hearing. I am going to answer this question because I believe it is sincere, and because I think the question goes to the heart of the problem. By problem I mean this: How it was that “her emails” sank so deeply into the public consciousness . . .
1/ . . . that a large percentage of the population—even those who knew that no crime was involved—came to feel a nagging doubt. At the same time, multiple federal felonies for which there is overwhelming evidence can slide under the radar. 2/ This is because a simple lie is easier to spread than a complex truth, and crimes involving fraud and deception are always a bit complicated. The hush payment felonies are a relatively simple crimes compared, say to the TrumpRussia conspiracy. Michael Cohen, in his riveting testimony Wednesday before the House Committee on Oversight, illustrated how Trump’s Cult of Leadership operates. 1/ In a leadership cult the followers look for a strong authority (always male) culminating in a national chieftain who alone is capable of incarnating the group’s historical destiny. 2/ Lies are an integral part of a leadership cult. The leader’s utterances don’t have to be factually true—as long as they advance the group’s agenda. The agenda always includes consolidating power. Truth is “whatever permits” the Leader to dominate others. Graham says that the checks Trump signed reimbursing Cohen for hush money shows that Trump didn’t think he was doing anything wrong because “People don’t write checks” if they think it’s a crime. 💠Trump is not afraid to openly and brazenly break the law (and lie) in plain sight. 💠Trump carefully structured the transaction to hide the purpose of the payment, which is what we call consciousness of guilt. 💠As of February 2017, when Cohen met Trump in the oval office and Trump reassured him that his payments were coming. . . I've also been arguing that the GOP accepts Trump's lies because they know they're destructive. Some of the base probably believe the lies. The more sophisticated members knowingly embrace lies. Cohen talked about that yesterday. Absorbing Michael Cohen’s hearing yesterday and reading MAGA commentary, I’m struck by the deep and destructive levels of cynicism in the GOP and America's far right wing. GOP cynicism, it seems to me, explains much of what we are seeing. 2/ There is, of course, irony and hypocrisy in the wake of decades years of investigations into the Clintons (White Water, Benghazi, “her emails”) where the only actual crime uncovered was that Clinton lied under oath about an extra marital affair. In advance of Cohen’s testimony, I will list the crimes suggested by his opening statement. 1/ Cohen pleaded guilty to 52 USC 30116(a)(1)(A) and (a)(7), making excessive and unreported in-kind campaign violations through his payments to Stormy Daniels and Karen McDougal. 2/ Trump wanted to pay hush money so that his affairs wouldn’t come out right before the election. 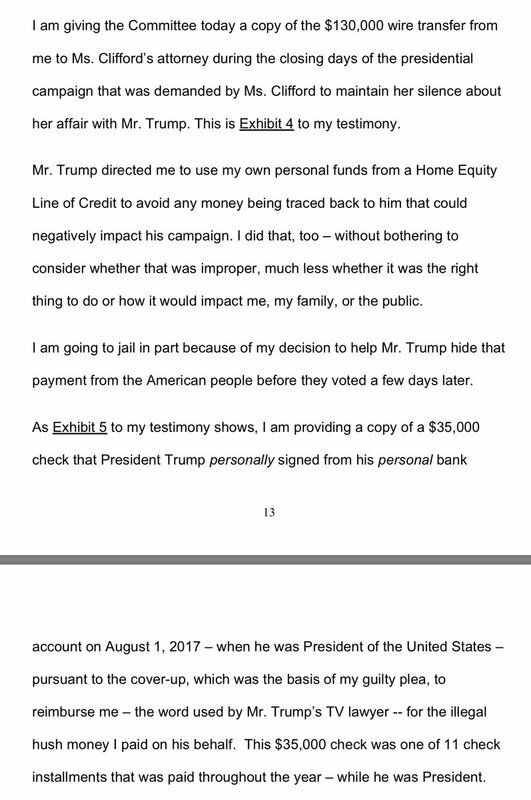 He directed Cohen to make the payments through a Home Equity Loan so it couldn’t be traced to him. (short thread) The logic is that we're bounded by the Constitution. The Constitution gives us a procedure for handling a criminal president. The founders even considered the possibility that a president might beholden to foreign powers. 1/ The House investigates, and if there’s basis, impeaches the president. . Impeachment is followed by a Senate trial. If found guilty, he is removed him from office with 2/3 vote. At the first sign of corruption, fraud, or a foreign influence in the election, Congress. . .
2. . . SHOULD have immediately conducted a meaningful investigation. Instead, the GOP members of Congress sabotaged any investigations & shoved through its agenda. Thus the cause of our constitutional crisis isn’t a lawbreaking president. So here it is on Monday. #2: The evidence we're waiting for is right there in the Mueller court filings. Yes, more is coming: More details will be filled in. The fear mongering is dangerous and self-fulfilling: If people think it’s too late, they’ll give up and won't do the things necessary to save the democracy. Trump & pals have positioned the goalposts: If Mueller doesn't produce evidence of Trump crimes in each filing, it's all a hoax. I suspect Team Trump invented the nonsense that Mueller is ready to submit a report. 1/ Look how clever that was. It set up the expectation that the sentencing memo would contain Mueller's endgame. 2/ In looking to the Manafort sentencing report for evidence of Trump crimes, we’re allowing Trump & pals to frame—and simplify—the inquiry. I suggest the sentencing memo IS about the big picture—but much bigger than Trump's complicity in Russia's attempt to sway the election. The comment is absurd it shouldn’t even require an answer. But here we go, for argument settling: a quick trip through the court findings, plea agreements, and indictments. In my world (appellate law) facts are those found by a court. This includes facts sworn in plea agreements. A prosecutor who alleges a fact alleges s/he has evidence to prove the fact beyond a reasonable doubt. 2/ So for “evidence” I'll restrict myself to court findings, plea agreements, and facts alleged in indictments. I've often made this point to persuade people to stop worrying that all Mueller's evidence will somehow get buried and we won't learn the truth. Congress can subpoena the grand jury evidence. While the Federal Rules of Criminal Procedure impose secrecy. . .
. . . there are exception, particularly where Congress is involved. There are also possibilities, which require lots of hurdles, of a public report coming out of a grand jury. An easier way to disclose the evidence is just unredact all the documents filed so far . . .
. . . which is in the hands of the courts, a co-equal branch of government. We have a lot to worry about right now. A lot. Too often, though, people worry about the wrong stuff, like Trump pardoning everyone, or the truth never coming out . . .
(1/3) Funny you should ask. @jedshug and I wrote a slate article on that very topic. I also have a few threads. Link to the Slate article and my thread in the next two tweets. Spoiler: No, of course it’s not too late. The damage can be repaired. But it won’t be easy. Some of the panic is centered around Trump packing the courts, so let's talk about that first. 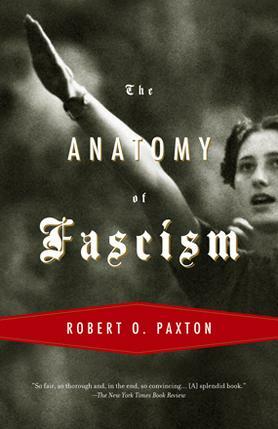 1/ Through most of U.S. history, courts have been right wing. In the 1960s judges were confirmed who openly supported racial segregation. In 1923, SCOTUS ruled minimum wage unconstitutional. 2/ In 1942 SCOTUS upheld the evacuation order putting Japanese Americans into internment camps. Much is shocking in the Motion for Pre-Trial Detention for Christopher Paul Hasson (the guy planning to mass murder liberals) but one detail jumped out at me. Last summer, Tucker Carlson said Trump was right and America should “rethink America’s alliances." Remember when Sen. Rand Paul went to Moscow to open “lines of communication” and invited Russian lawmakers to the U.S? So Roger Stone had a bit of a tantrum yesterday. He’s angry because he was assigned to a judge he doesn’t want. What’s really happening is that Rule of Law colliding with Cult of Leadership. 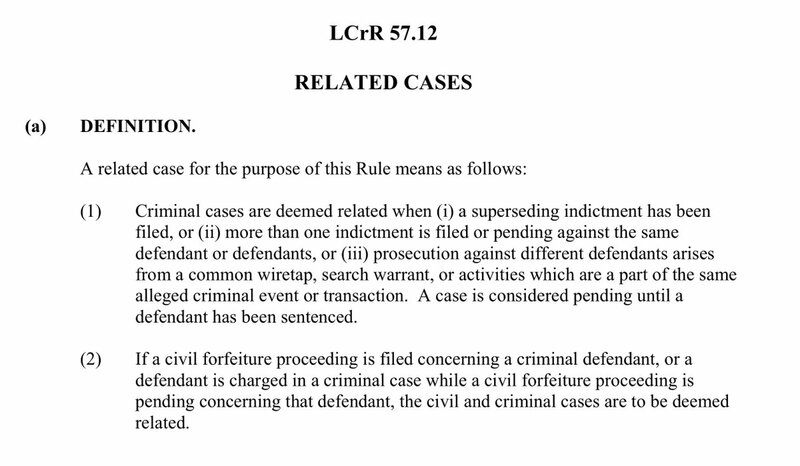 1/ The court rules require the prosecutor, when filing an indictment, to notify the clerk if there’s a “related” case pending before the court. 2/ One way two cases can be related is if the evidence comes from the same wiretaps or search warrant. When Special Counsel filed Stone’s indictment, he designated Stone’s case as related to the pending U.S. v. Netyksho—the Russian hacking case. I wrote 4 threads this week, and updated an older one. (I keep thinking I'll do 3 each week . . . then stuff happens). #1: About the Mueller report. Remember Mueller is speaking through the court documents & transcripts. Spoiler: All the information is in the court documents and transcripts. 1/ Prosecutors have a duty to foster “public understanding of the problems of controlling crimes. . . ” law.cornell.edu/cfr/text/28/50… Courts have said prosecutors have a duty to inform the public about investigations. So Mueller is putting what we need to know into the court docs. 2/ These documents are in the possession of the courts. At any time, the court can unredact and unseal them. Courts know who these people are. And the evidence is spread over several courts. (1/3) I'm getting questions about pardons and whether a pardon will save Manafort. A pardon won't save him. He might think a pardon will, but it won't. See the threads in the next two tweets. BTW, I suspect that he Manafort entered a plea deal because he wanted to save Trump from a trial just before the midterms. A Manafort trial in October would have hurt the Republicans enormously.